We spent the weekend at home and had reasonable weather so were able to get out in the garden. Tonight I want to share something which is quite exciting. Here are some white agapanthus. I have a huge clump in the backyard which is now enclosed in the chicken run and these are some that we transplanted a couple of years ago from that clump. They are alongside the path at the back of the house and have really struggled. So to see them beginning to thrive and actually flower is rather special. 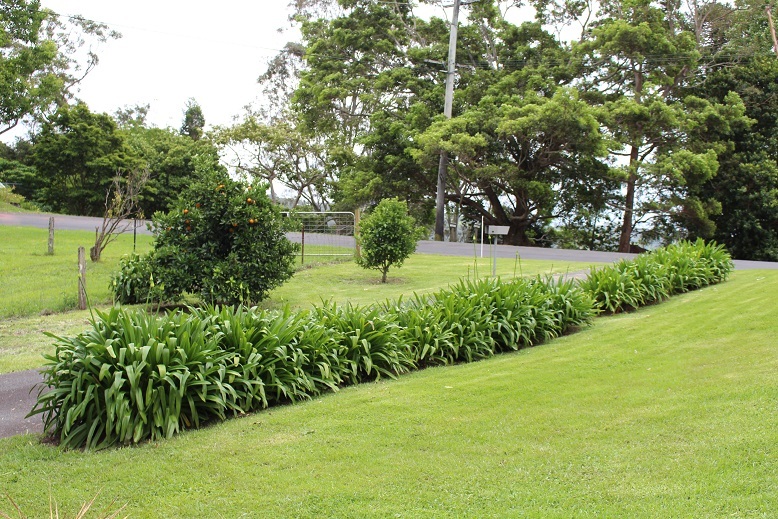 My eventual plan is to have the full length of the path bordered with white agapanthus so this is a start. Once they become established they are very hardy and need no maintenance. These are some I prepared earlier! 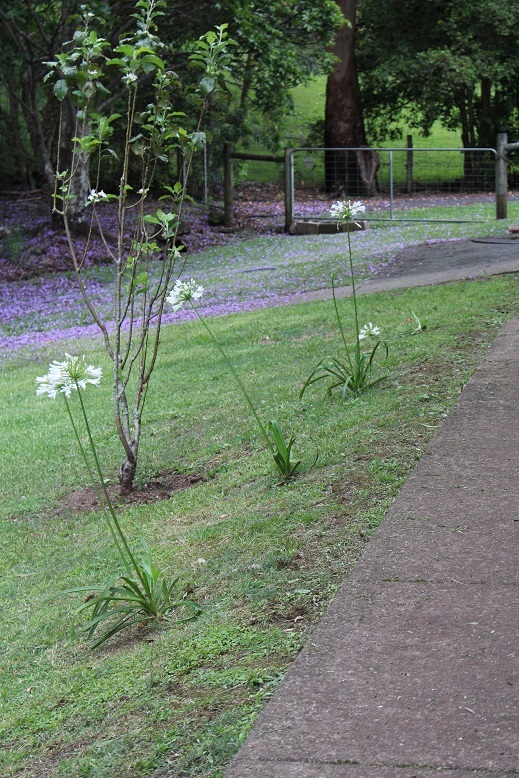 These blue agapanthus which we planted about 8 years ago border the driveway and look like they have been there forever. They have just begun to shoot up flower spikes and will be in full flower in a few weeks. One day the plants at the back will be similar. I just need to be patient.